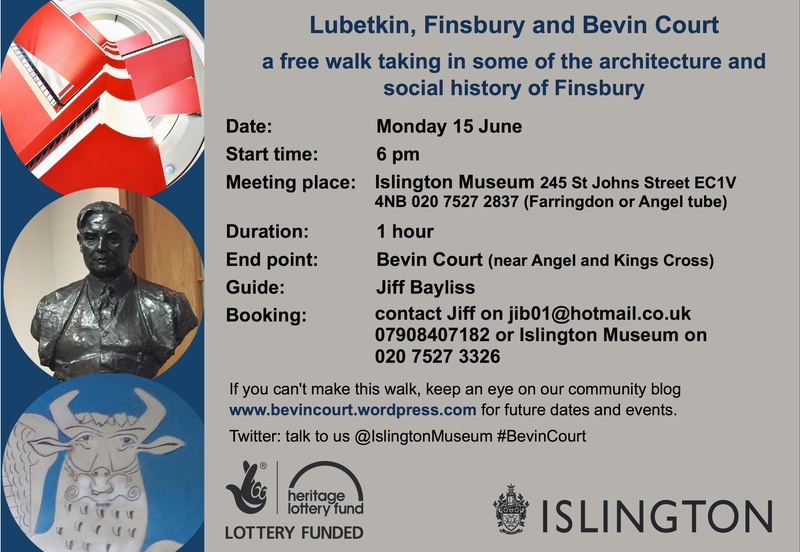 Join us for our first official walk based on the social history of Bevin Court. We’ve worked with the residents of Bevin Court and Jiff Bayliss, a Clerkenwell and Islington Guiding Association (CIGA) Guide to create a walk that gives a background history of the area of Finsbury, the characters involved in the building and site, namely Lenin, Lubetkin, Bevin and Yates and the restoration project we are carrying out. Bevin Court is a Grade 2* listed building designed by Berthold Lubetkin in Islington. This website explores all things B. C.